Kimberly Schadewald offers thorough consultations and attentive therapeutic relief. As someone who has recovered from severe back pain through massage, Kimberly makes it her goal to take care of clients the way she'd like to be taken care of. That's why you'll never feel rushed in a massage session with Kimberly. The New Jersey certified massage therapist severely strained her lower back when she was 16, and found herself in so much pain she couldn't walk without crying. Chiropractic care helped her walk again, but the pain remained. In college she discovered through a chance experience with massage that massage kept her pain-free longer than any other alternatives she had tried. Today Kimberly devotes her life to bringing that same relief to others. She offers a full range of massage therapies for adults and for children. Kimberly trained at the Gentle Healing School of Massage in Cranbury, N.J., where she received advanced training in neuromuscular therapy. She also completed Level I and II Reiki Practitioner courses through the Robert Wood Johnson University Hospital Wellness Center in 2009. Before opening 5 Points Wellness, her private practice in Belmar, N.J., Kimberly worked at a number of spas in the area. Kimberly conducts thorough consultations that help guide the entire treatment process. 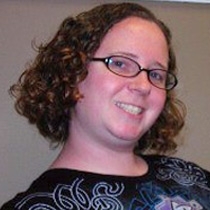 An attentive listener, Kimberly really listens to your concerns to understand what led you to seek out massage therapy. Communication is key to an effective massage treatment. Kimberly urges clients to ask questions so they can feel comfortable and confident about their massage.